I recently came across Chilly B (now known as Love to B) via Google and the website immediately grabbed my attention. 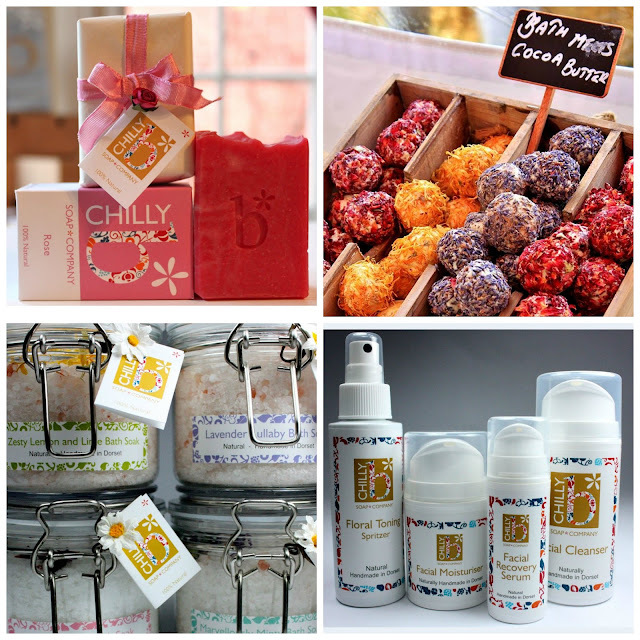 Chilly B is a family run company based in Dorset and they specialise in soaps but have branched out into skincare. Products are free from undesirable ingredients such as parabens, phthalates and SLS and they are 100% natural where possible. Any product which requires a preservative will contain Phenoxyethanol. I recently had a lovely conversation with Julie who is the owner and founder. We share the same passion for natural personal care products. Julie's story about how Chilly B was created is much the same as others, it starts with eczema and leads to gaining awareness for the harmful ingredients in skincare. When I first discovered the website I was particularly drawn to the beautiful soaps. I like the idea that you can buy the soap naked, boxed or wrapped. This makes it versatile for gifting or if you are buying for yourself and do not require the extra packaging. I think Chilly B's products will appeal to everyone so I highly recommend you browse the website and bookmark it for when pay day arrives. I have been informed the site is getting a make over and the updated version will launch soon. Has anyone else discovered Chilly B? I wonder if you can use them as shampoo as well? I might their 'try before you buy' a whirl!